John James served with the Royal Welsh Fusiliers on the Western Front and was killed in action in October 1918. The information on John James has been compiled from a number of sources, including the Commonwealth War Graves Commission, from the Labour Voice newspaper, and the Parish Burial Register (courtesy of the Swansea Archives). Unit and Regiment Royal Welsh Fusiliers; 16th Bn. Grave inscription: Jack James Caerlan Abercrave. 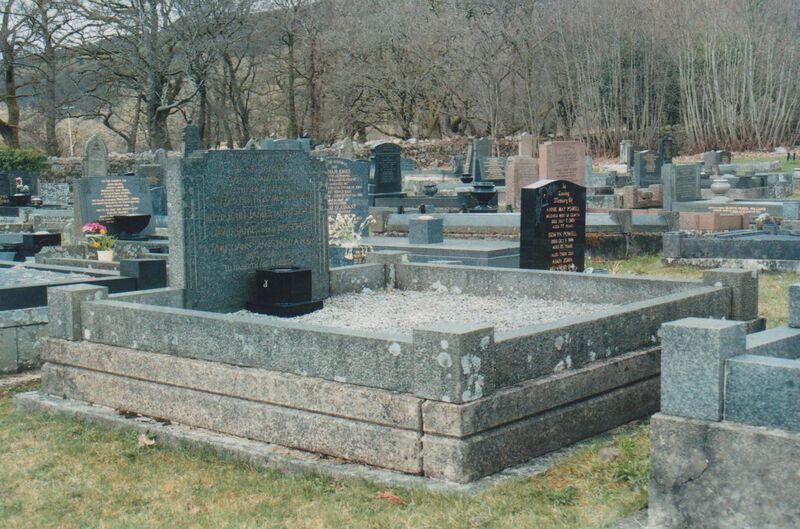 To the left is the grave in Tynycoed churchyard. In memory of dear Jack James, Caerlan, Abercrave, who fell in France October 5, 1918, 20 years old. Also John James, father, 1875-1943. David James, son, 1897-1949. Mary Ann James, wife and mother, 1875-1958. 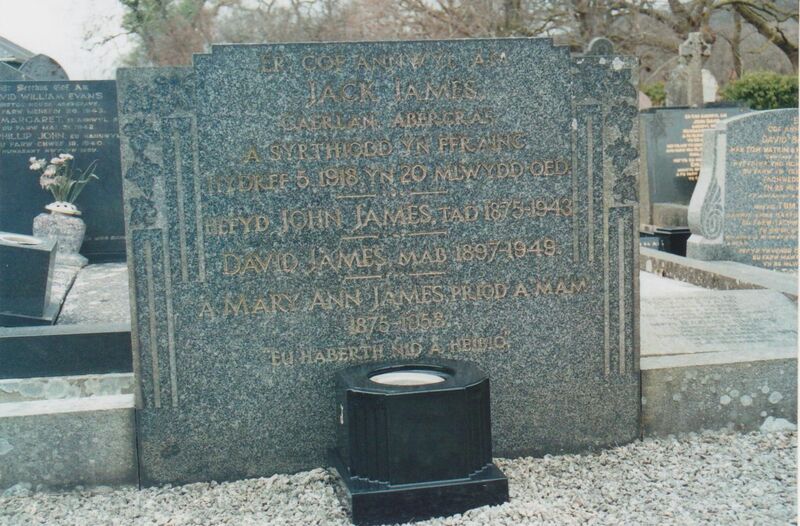 Er cof anwyl am Jack James, Caerlan, Abercrave, a syrthiodd yn Ffrainc Hydref 5, 1918, yn 20 mlwydd oed. Hefyd John James, tad, 1875-1943. David James, mab, 1897-1949. Mary Ann James, priod a mam, 1875-1958.Er cof anwyl am Jack James, Caerlan, Abercrave, a syrthiodd yn Ffrainc Hydref 5, 1918, yn 20 mlwydd oed. Hefyd John James, tad, 1875-1943. David James, mab, 1897-1949. Mary Ann James, priod a mam, 1875-1958. John James was one of the fallen of the First World War, mentioned in the Llais (27th September 1919) to be included on the Proposed War Memorial List for Abercrave.